I was savvy to marketing from a young age, and always knew the British ‘Action Force’ = the American ‘G.I. Joe’. The logos were in the same font! There was no fooling me. I noticed that in Zodiac on the Moor in Sheffield (previously Redgates, now nothing) – my first comic shop, a utopia of giant Stay Puft models and small American comics. Aside from that I’ve only been familiar with the crew from their Transformers crossovers – all that changed today with this video and this album. I’m still not watching the end of the film, though. Welcome To Cobra Island is out now, for free download. 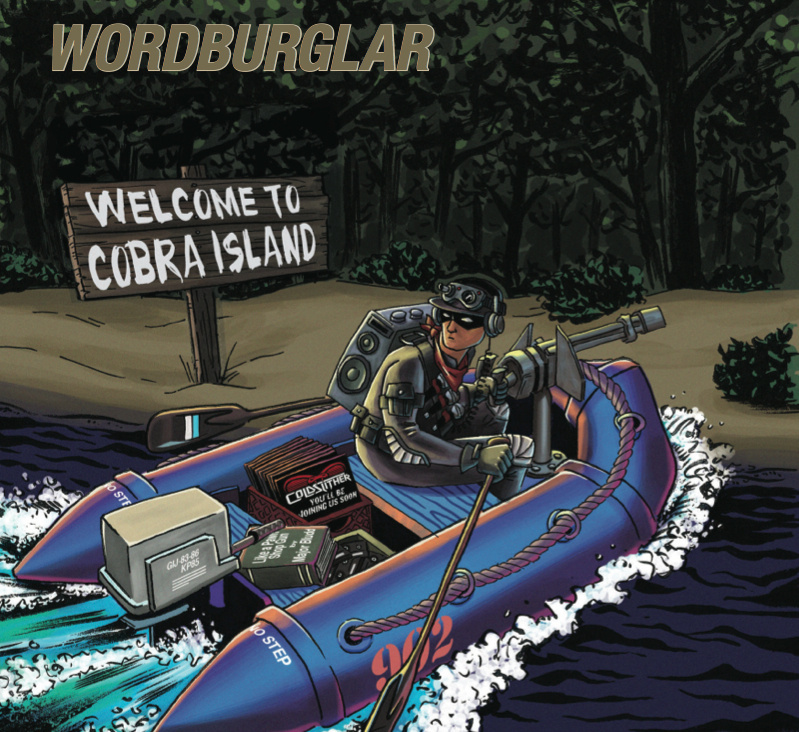 Shouts to Graeme for putting me on to Wordburglar!